I received this email regarding Washington State’s Dental Access Campaign. [Below] is the story of a young person, Steve, who lost his life because he wasn’t able to access oral health care. As some of you know, I nearly lost my life to infection due to tooth abscess because I was not able to access oral health care. I have a friend who’s brother died from abscessed tooth infection, like Steve. I have many friends and neighbors and family members who suffer because they cannot access oral health care. All of us have friends, neighbors and family members suffering because they cannot access oral health care. [By Bart Haggin] I am almost reluctant to to send this out because it oversimplifies wealth in the US and in the world. The real power of the rich resides in families of the wealthy who OWN the country. They do this with outright purchase or inheritance and by owning controlling interest in private or public corporations. These are the people who really pull the strings. Most of these billion ares are just campaign contributors and lobbyists for corporations that they have an interest in. The real movers and shakers are, largely, out of the public arena. 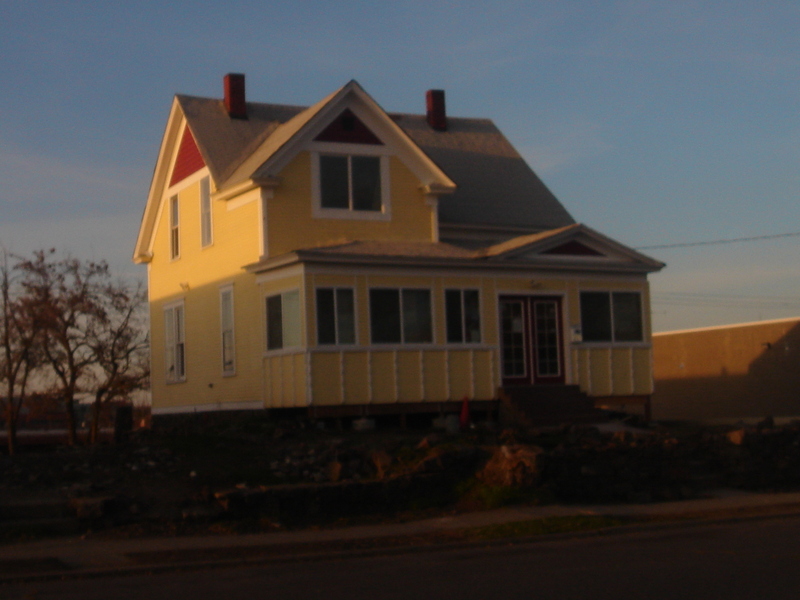 Locally [here in Eastern Washington], think the Cowles foundation here in Spokane. Oxfam International, a poverty fighting organization, made news at the World Economic Forum in Davos earlier this year with its report that the world’s 85 richest people own assets with the same value as those owned by the poorer half of the world’s population, or 3.5 billion people (including children). Both groups have $US 1.7 trillion. That’s $20 billion on average if you are in the first group, and $486 if you are in the second group. It took long enough to happen. 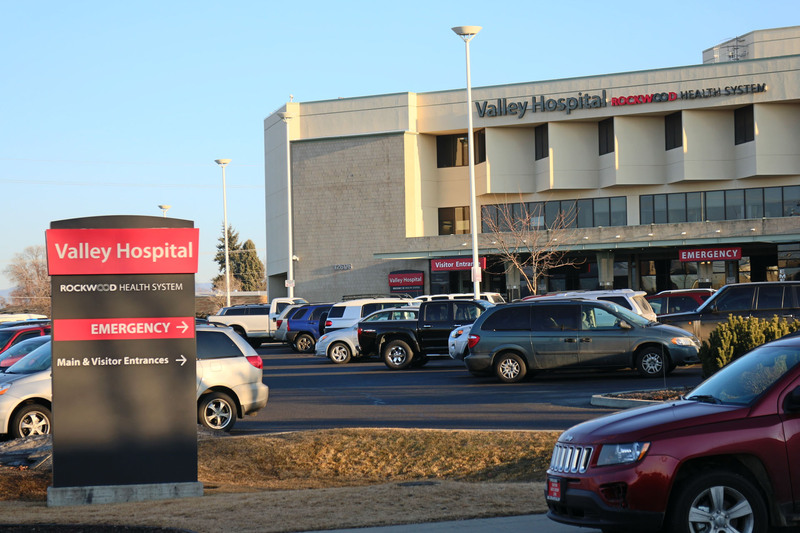 However, after months of nurses and other medical workers performing their jobs without a contract, the management at Spokane Deaconess Hospital and Spokane Valley Hospital have given a bargaining date to employees. Nurses and other medical workers represented by SEIU local will be negotiating on workplace issues and other matters to agree on a new contract between their collective bargaining unit and Community Health Systems. The quality of patients care at Valley and Deaconess Hospitals and safe staffing levels will be a key part of the talks. Who Will Be the 2016 Republican Nominee for Washington Governor? Washington Governor Jay Inslee will be up for re-election in 2016, and the presumption is that he will run for re-election. However, who is likely to be the Republican nominee that challenges him for Governor of the State of Washington? Washington is a solid Democratic state, and Republican candidates for Governor have been rejected at the ballot box over and over again for the last few decades. The Republican Party seems clueless about what to do about that. They keep recycling the same anti-tax, anti-government message every election year, and they keep losing most state-wide races. I have no problem with that. I say let them keep failing. That said I cannot help but to speculate what Republican will run against Inslee for the Governor of Washington in 2016. Republican Nominee for Washington Governor in 2016? 2016 is a long time a way of course. Potential candidates will not make a decision to run or not run for another two years or more. However, it is a fun conversation for political junkies in a slow election year. Jerry Cornfield, Herald Columnist, listed some of his guesses about who will run for Governor of the State of Washington against Inslee. He quotes Rob Mckenna as saying he will not run a second time. I have made some predictions of my own. I am betting that Dave Reichert, Congressman and Retired King County Sheriff, will be the 2016 Republican Nominee for Governor of Washington for reasons I listed below. I don’t think others like Cathy McMorris Rodgers and Rob McKenna will want to be the Republican nominee for Governor. If you’re a Republican with thoughts of running for governor in 2016 know this: Rob McKenna will not stand in your way. He’s told insiders of the Grand Old Party he’s not interested in a rematch with Democratic Gov. Jay Inslee to whom he lost by a couple percentage points in November. That’s not to say he won’t change his mind. Who will be the party’s torchbearer in 2016 if McKenna isn’t? Republican Congressman Dave Reichert for Washington Governor? The former King County sheriff is in his fifth term in Congress from whence Inslee came. Reichert could be the 8th Congressional District representative for life but his sights are on something grander. Most figure it’s the U.S. Senate though running the state might be too attractive to pass on. Dave Reichert is ambitious. Of course, everyone on the list is. However, there are different kinds of ambition. As Sheriff, Dave Reichert seemed to have particularly enjoyed the public attention that came from his office solving the King County Green River murder (although Reichert’s role is dubious). That is the kind of attention that only a person elected to an executive office is usually able to enjoy. As a congress person, he is just one of hundreds in Washington D.C. I am betting that he is hungry for a brighter spotlight. I disagree with Jerry Cornfield. I think it is the Washington Governor’s Office is what Dave Reichert wants. Some may think that a position in Congress is more prestigious than Governor, but you just are not in the center of the spot light as you are in the Governor’s Office. Congresswoman Cathy McMorris Rodgers for Washington Governor? She is in her fifth term and is chairwoman of the GOP caucus making her the highest ranking Republican woman in Congress. She enjoys the national stage more than that of Olympia where she spent four terms as a state lawmaker. That might be reason enough for her to abstain from the governor’s race. Cathy McMorris Rodgers will probably stay in the U.S. House. She seems really comfortable there, and it has been very good for her career wise. I get the impression that her party advanced her to the Chair of the House Republican Conference mainly for the reason of claiming her as a token woman in their leadership that is otherwise entirely made up of men. McMorris seems to enjoy that role and she seems quite comfortable in the U.S. House of Representatives. Despite the speculation, I really doubt if she will run for Governor. Also, east side candidates for governor have not fared as well as west-side candidates. However, if in the unlikely chance we decided to run for the Gubernatorial seat she might fair better than the typical Eastern Washington candidate simply because of her high profile status as a national politician. However, I don’t think the Republican House Caucus will advance her any farther in the House leadership. The Republican Party and especially Republicans in Congress are still too much of an old boy network. If (when) she realizes this, she will be more likely seek opportunities in the private sector rather than run for governor. Perhaps it will be for Washington governor as the Republican nominee, but probably not in 2016. I think she will stay where she is for a while. 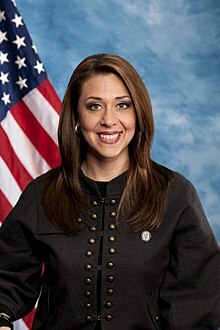 Congresswoman Jaime Herrera Beutler for Governor of Washington as the Republican Nominee? She’s 34, in her second term and clearly a rising star for the party. A 2016 contest might be too soon for her career. Plus, her announcement Tuesday that her unborn child has a serious medical condition requires such talk be put on hold because her family comes first. I just cannot see Jaime Herrera Beutler as the Republican candidate for Washington Governor. Can you? That does not mean that she will not run. However, I don’t think she is ready and I bet she knows it. She is of course a protégée of Cathy McMorris Rodgers. If on an off chance McMorris runs, Jaime Herrera Beutler would not. She represents a swing district, so we may not see her around for that long as a U.S. Representative. State Sen. Steve Litzow of Mercer Island? .Litzow is a moderate on fiscal and social issues though you might not realize it because he’s refused to break ranks with his conservative caucus to pass a bill he co-sponsored on abortion rights. A former public school teacher, his strongest suit is education which is a proven winning issue with voters. No comment. I just don’t know enough about the guy. Any comments from readers? State Sen. Andy Hill of Redmond for Govenor? .Hill is the lead budget writer for the Senate Majority Coalition, an impressive assignment for a freshman senator. He’s also a cancer survivor. That combination — knowledge of numbers and compelling personal story — generally adds up to electoral success. The question for Hill is whether he’s ambitious enough to seek the job. Same as above. I just don’t know enough about Andy Hill. Tell me what you think. State Sen. Michael Baumgartner for Washington Governor? Ambition is not a problem for Baumgartner who took on U.S. Sen. Maria Cantwell in 2012 and lost badly. This session he’s in the loop for writing budgets and setting policy for the state’s universities, gaining knowledge and making contacts which could prove useful should higher office beckon. It was a really smart move for State Senator Michael Baumgartner to run against U.S. Senator Maria Cantwell in 2012. No one thought he had a real chance of winning so when he lost it did not hurt his future prospects. He did break the 40% barrier so many were inclined to believe he ran a decent race. The best part of this for Michael Baumgartner was that he increased his name recognition and donor base and gained experience campaigning a state-wide race. However, if he ran as Republican for Governor of Washington and lost as badly as he did against Cantwell, he would not necessarily continue to reap the same benefits. You cannot loose badly over and over and still be respected as a candidate by your party. He is smart enough to know that. If he runs, it will be a calculated risk in this regard. Another big loss would hurt his career. Also, Michael Baumgartner comes into politics from an international policy background. State government may not interest him as much. It is hard to say, but I think he will stay in the state legislature for a few more years. He is probably eyeing McMorris’s congressional seat. Federal races seems more his wheelhouse that state. My prediction is that he will not run for governor in 2016 for Washington Governor. Other Republicans will be more interested in being the nominee. We got plenty more time to speculate. A lot will happen between now and the primary election in 2016. Careers will be made and lost. Scandals will hit the headlines. Plenty fodder for us political junkies. Enjoy. A volunteer for Eastern Washington Voters wrote a poem lamenting about Rep. Cathy McMorris Rodgers and her effort to destroy Medicare and such. I thought I would share it with you. The full poem can be found here. Alas, Ms. Rodgers, we fear as a career politician your job is soon going to be over for you. As the wise and angry people of the 5th district of Washington State clearly see what you do. Partisan politics and climbing to the top are your goals; representing the people is just not you. It’s clear that caring or knowing what we want, Ms. Rodgers, you just haven’t got a clue. Like a lemming you blindly follow your party; too self-absorbed, uncaring and blind to see. That with your personal and political desires the people in the 5th district no longer agree. We no longer are willing to accept your lies, your hiding from us and spinning what you say. Eight years of misrepresentation, the people of the 5th district are tired of you being this way. I met Dr. David Warner while we were both graduate students at Washington State University. It appears that the assault that left him unconscious and near death was initiated because he tried to do the right thing and “keep the peace” when a fight broke out. However, I cannot help to wonder. Was it because David Warner was an out spoken Native American with articulate views on the rights of Native Americans that his attackers beat him as brutally as they did? Even if (when) the assailants are caught, we may never know. Conservatives have been waging class warfare on working class Americans for decades. Here in the State of Washington, they are at it again with bills to lower minimum wage and weaken workers compensation. It’s Early Childhood Education, You Dummies! Nothing is more important than early childhood education. Emotionally healthy young children grow up to be happy, loving, responsible adults. In the end, that is the only thing that really what matters. I say this in full awareness of all the serious problems that our world faces. The environment for example. If we don’t take care of the Earth, we are screwed. Nuclear weapons is another. A push of button could make our planet uninhabitable for centuries. Ya da, ya da. We are struggling to find solutions to these problems, but actually we already have many ways at our finger tips to solve them. However, our human failings, our fears, our greed, make those solutions unworkable. Its our own sanity, our emotional balance that is in short supply. The Spokane County Democrats offer this advice on the City of Spokane’s February Special Election on the Tuesday the 12th: Vote “Yes, No, Yes” on Prop 1, Prop 2, and Prop 3. It’s as easy as 1, 2, 3 Vote Yes, No, Yes! Vote YES for Independent Investigations of Police Conduct! Give the Office of Police Ombudsman permanent, independent, and investigatory authority – as they are meant to have. Prop 1 would require Spokane to commit to a credible, independent office of police oversight, and create a citizens commission to advise and oversee the office. Vote NO to Reject Requiring a 5/7 Majority Vote on any revenue increase or to close tax loopholes at the city level. Vote YES on the Library Levy. Prevent closing the Hillyard and East Central branches and increase other library branch hours, making vital education services for families & kids more accessible. Everybody: Social Security Is Secure, So Far! That is true if the rich and the powerful aren’t able to steal it and the US government doesn’t default! Social Security is the most successful social program ever invented. It requires less than two percent overhead expenses. It covers millions of people besides retirees. And it is secure financially, under present circumstances, until about 2035 with a surplus until then! Any other US government programs like that? This was one of the 2012 races that a lot of us felt strongly about. It is nice to see the race resolved on election day without a controversial recount, and now it is even nicer to see an announcement of Governor-Elect Jay Inslee’s Inaugural Ball. I wanted to go to Gov. Gregoire’s second Inaugural Ball, but it did not fit more my schedule or match my pocket book. May be this year I will make it. Congratulations Jay Inslee. I know you will do a fine job. Kathleen Drew came to Pullman, WA, for the Lentil Festival to talk about her run for office and her support of the Washington State Voters’ Guide a few months ago. I was impressed with her. Kathleen Drew has got experience in the various parts of government to do a good job as the next Washington State Secretary of State. She is personable. She has a good clear grasp of the issues affecting the Office of the Secretary of State, including the need to better fund the Washington State Voters’ Guide. I got an accurate political analysis on the [Obama and Romney Presidential] debate from my 6 yr. old grandson! While my daughter Jasmine was cooking dinner, she live streamed the presidential debate on her computer to listen to it. Enzo actually sat down and watched it!!! When Jasmine told him to come to the table for dinner, she noticed he’d taken a pen and wrote on the computer screen! She chastised him and he apologized. Then Jasmine got curious as to what it was he wrote.